1. 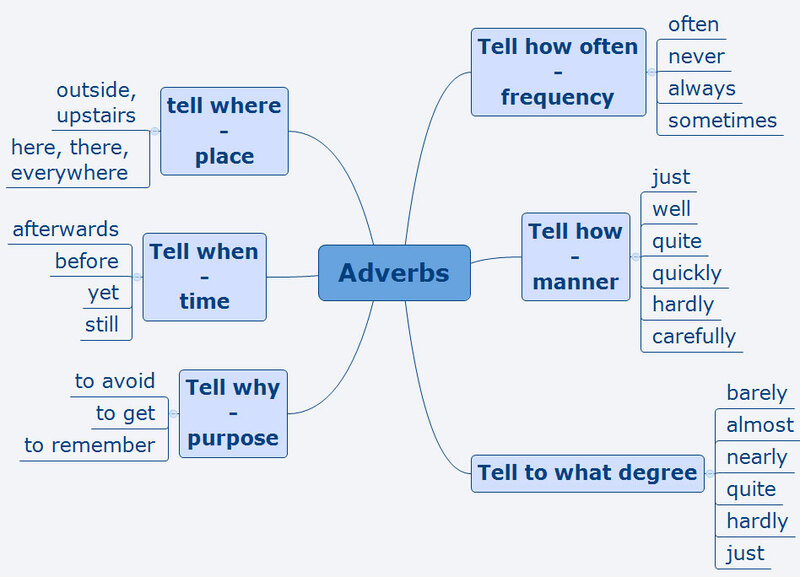 ADVERBS OF MANNER - these answer the question how? 2. ADVERBS OF PLACE - these answer the question where? 3. ADVERBS OF TIME - these answer the question when? She was in London last year. 4. ADVERBS OF FREQUENCY - these answer the question how many times? 5. ADVERBS OF DEGREE - these answer the question to what extent? We had almost reached the hut when the rain started. I am just beginning a new course.